The mind and its images create a behavioral connection that delivers a profound effect on how we experience and manage pain. Dr. Emmett Miller, a pioneering master of the art and science of hypnotic guided imagery for self-healing, teaches you how to shift your awareness and reduce, control, and even overcome the pain signals reaching your brain. The mind and its images create a behavioral connection that deliver a profound effect on how we experience and manage pain. Dr. Emmett Miller, a pioneering master of the art and science of hypnotic guided imagery for self-healing, teaches you how to shift your awareness and how to reduce, control, and even overcome the pain signals reaching your brain. 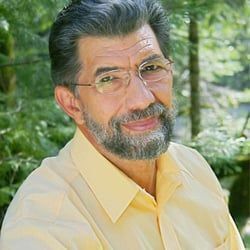 Emmett Miller MD is a leading guided imagery and hypnosis pioneer, known for his masterful, hypnotic meditations that catalyze a deep recptivity to healing, growth and change. His powerful, soothing voice and evocative, psychologically sophisticated imagery are considered a gold standard in the field of mind-body medicine.